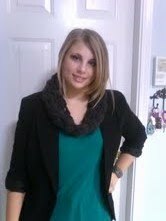 here's what I wore to school on Thursday, I literally I threw this on 10 minutes before I walked out the door! Nothing super thrilling happened at school today. Came home and studied for geometry and geography. My two least favorite subjects! This title came from my favorite song e v e r Sad Eyes by Josh Rouse. Sorry this is live, I couldn't find a not live version! 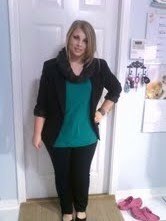 Please excuse my mom's casual hot pink Crocs all up in my full length picture! She got them in like the little swag bags when she did some 1/2 marathon. I had straightened my hair and then I just clipped it back. After 1st period though, I took it out and brushed through it. So it was straight the rest of the day. I got a lot done on my vase in pottery. It's going to be a cylinder with a curve in it, it's sort of like sequins (well scales) with a lace pattern and they're all going to be overlapping. I'm pretty excited to be getting closer to being done with it! I'm a huge pottery nerd, I'm not amazingly talented but, I do enjoy it. I just made it into the display case on the front of D hall at my school, I was like freaking out, so excited! Hah, I'm such a dork! Okay, I hope I didn't bore you with my ramblings! Looking good again! Good luck on your tests! Maybe you'll show us your pottery handiwork when you're done? You look so pretty as always!!! i've actually never done pottery except when i was a little kid (but that doesn't count). lol. 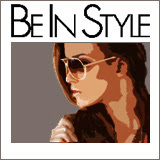 I just tagged you for the Stylish & Versatile Award. If you want to participate, check out my latest post for details.